The monsoon rain finally relented and I was itching to get back on the road. Leaving Kathmandu towards Hetauda on the brutally spectacular Tribhuvan highway on which I had arrived, brought back vivid memories of the epic cycle into Kathmandu. Reliving the journey in reverse with the benefit of hindsight, I opted to break the distance into two more manageable chunks with an over night stay near Tistung. Nevertheless, the final climb up to 2561 meters was eye-wateringly exhausting, and the decent to Hetauda, never-ending. The journey east along the Terai took in desolate towns and villages with a noticeable increase in poverty. Running parallel to the border with India, the merging of people and practises showed up in the food, and the faces of those serving it. I was continually reminded by the ridiculously inflated food bills to ask for prices up front, and to refuse the additional dishes magically multiplying on my table. Crossing the border into India at Kakarvitta I was immediately amused by the Indian sign writing. My last experience of India had left me feeling reluctant to return, but as the border approached, the sense of progress and the prospect of venturing into the unknown sparked feelings of excitement. I was curious to find out how I would experience India with fresh eyes. How much of what I had experienced the last time had been a projection of myself? The punishing heat, the schedule I was travelling within, the early mornings and crappy guesthouses all stained the window through which I viewed he world. How would a fresh perspective change my experience? Interestingly, the road out of Nepal was poorly maintained in contrast to the newly laid road into India. 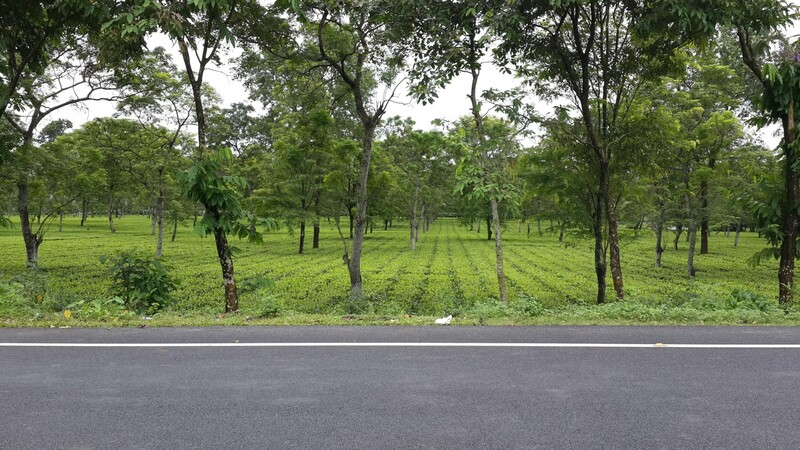 As I cycled on, the road was neatly lined with radiant tea gardens stretching out as far as the eye could see. Crystal clear water flowed abundantly amongst the gardens lush with life and vigour. 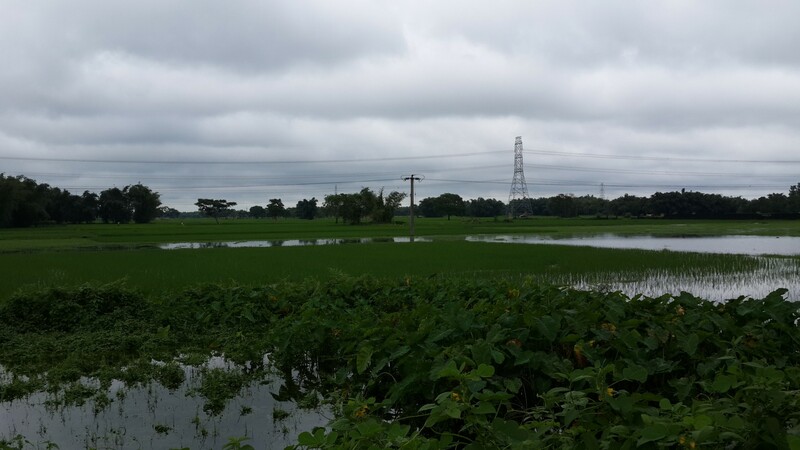 As I continued east the tea gardens were interspersed with vast, vibrant rice fields that viewed from a distance created scenes reminiscent of home. The climate was hot and humid with heavy cloud cover and the occasional downpour, which made cycling relatively comfortable albeit wet. When the cloud cover cleared the sun beamed down rays of energy sapping heat. For four days I struggled to keep my temperature under control and enough water in my system to maintain progress. On reaching Barpeta I found a guesthouse with the most hospitable proprietor I had ever met. A local businessman, who had benefited from the boom in construction through supplying cement, had built the guesthouse to diversify. After showing me around he offered me a room for 1300 Rupees, which I told him was way over my 400 Rupees budget. Incredibly, he agreed on 400 Rupees and then proceeded to add a complimentary breakfast and dinner! He explained that as a foreigner I should be treated as a God and it was his honour to be of service. His son came to join me for dinner and later in the evening they invited me back to their home to see what life was like in a rural village. I met their wives and they showed me around their garden and then we sat for an hour chatting, drinking fresh pomegranate juice and eating fruit and Indian sweets. I was really rather lovely. The next day was less so…. 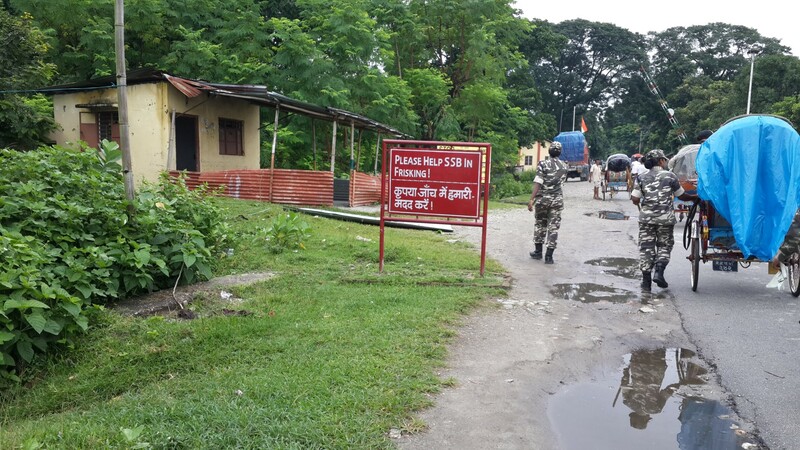 I eventually made it to Nalbari in a terrible state: cramping, sweating, exhausted. I spent the night eating giant mangos and rehydrating with water and replacement salts. 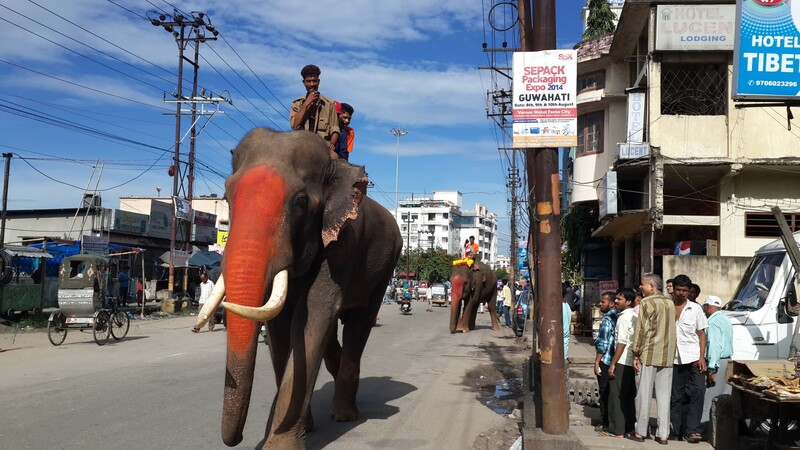 Now in Guwahati, the state capital of Assam, the journey through north east India has been physically challenging due to the weather, but surprisingly enjoyable due to the people I have met along the way. Fingers crossed I will have a permit and a letter from the government of Myanmar waiting for me at the border at Tamu. Your video made me laugh and cry both at the same time. Was great to see your face and hear your thoughts. I’ve been in India during monsoon season and completely understand how debilitating the humidity is, although I wasn’t cycling hundreds of miles a day! Hang in there Fraser! The cramping will definitely be down to salt, or a lack of. I once met a man in India who used to drink salted water every morning for breakfast. Take care and stay safe. Great to hear from you, I’ll be stacking up the salt at every opportunity. It’s easy to lose track of what your body needs until it’s too late! Ah you’re Scottish…… More videos please this one was fantastic, gives a real sense of who you are are – humble yet full of strength and determination. I am sure other videos will reveal more of you and continue to engage your followers. Hi Fraser, Really good to get this update and see how far you have progressed from Kathmandu. You must be wondering what else the terrain, climate and diet can throw at you !! The video certainly makes us all aware that this is no cycle in the park. It would seem, however, that determination rules in getting to Nalbari. Hope that you don’t have this experience again. Hope to talk soon. Mate you look off your face. Not good. You look exhausted and tired. Not a great combo for cycling in India. Thanks for the comments all, feeling much better now!! Can see how much this is taking out of you, you definitely have a strong resolve to keep going in the face of such adversity. Keep it up – what an achievement. Fraser, i’ve sent you and email, hope you can respond it when you have time.